The OBV6 series Surge Protection are designed to protect against lightning surge voltages in photovoltaic power supply networks. These units must be installed in parallel on the DC networks to be protected and provide common and differential modes protection. 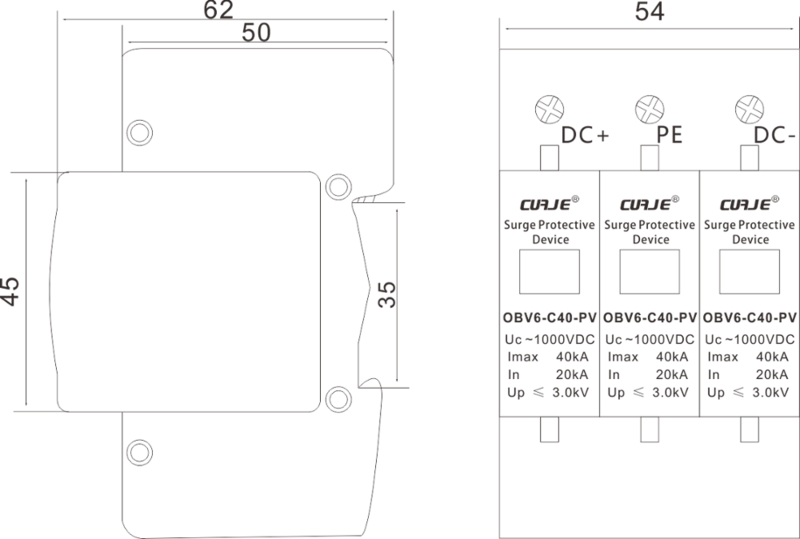 The OBV6-B+C40 series is available for the main operating voltages in photovoltaic: 1000 Vdc. 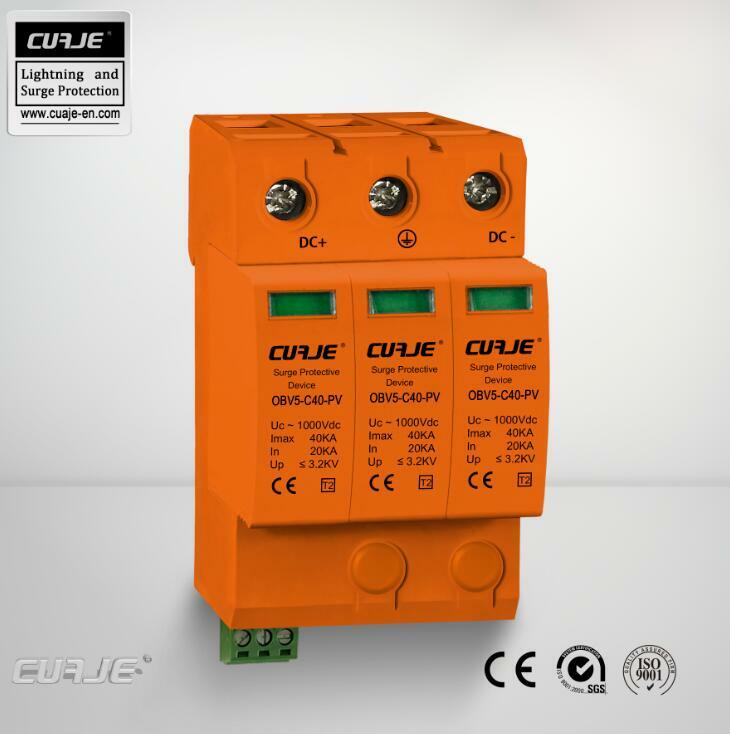 The use of OBV6-B+C40 series Surge Protection is recommended at both ends of the DC power supply line (solar panel side and inverter/converter side), especially if the line routing is external and long. 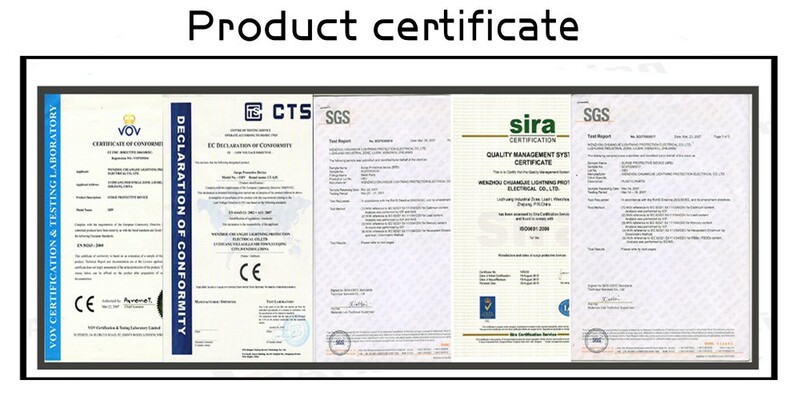 The electrical diagram of the OBV6-B+C40 series is based on high energy MOVs equipped with specific thermal disconnectors and related failure indicators. The OBV6B+C40 series is made with plug-in modules to allow a fast and easy maintenance in case of failure (disconnection from the DC network).